I would also like to use this post to introduce my narrator and editor/director for this audiobook. If you know of anyone in need of their talents, please contact them directly through their links. 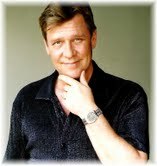 Michael Sutherland is a freelance voiceover artist with more than 30 years experience. A former production director at numerous radio stations around the country, as well as a popular on-air personality, Sutherland’s distinctive voice may be heard in over 25,000 commercials, promotions, and narrations. As an independent voice actor, some 90% of his work is produced in his home studio. ‘Cherries – A Vietnam War Novel’ marks Sutherland’s knockout debut as the narrator of an audiobook. He thoroughly enjoyed drawing on his unique talent for creating voices, accents, and regional dialects as he morphed into the 20+ compelling characters in this fascinating one-man performance. Listeners may also recognize Michael Sutherland from the very entertaining Frank Sinatra tribute shows he performs across the U.S. He found working with ‘Cherries’ author John Podlaski and editor/director Barb Battestilli to be hugely rewarding, and he looks forward to narrating more audiobooks in the future. Barb Battestilli , as copy editor of ‘Cherries – A Vietnam War Novel’, she was the natural choice as editor and director of the exciting audiobook version. A freelance writer for 25+ years, Battestilli’s articles have covered everything from breaking news stories and celebrity interviews to human interest and fashion. Having worked as an editor for an international textbook company, she has also proofread books on Law, English, French, Spanish, German, and Social Studies. As a journalist, she covered Presidential inaugurations for several newspapers, enjoying the adrenaline rush of working in Washington, DC. Her travel columns led her to treks across the U.S., Canada, the U.K. and Europe. Her side interests include working as a background actor and stand-in for major feature films, art, interior design, and riding her bike through the countryside. Battestilli was delighted to work with ‘Cherries’ author John Podlaski and voice actor Michael Sutherland, and looks forward to her work on future audiobooks. She divides her time between Chicago, Metro Detroit, and northern Michigan.